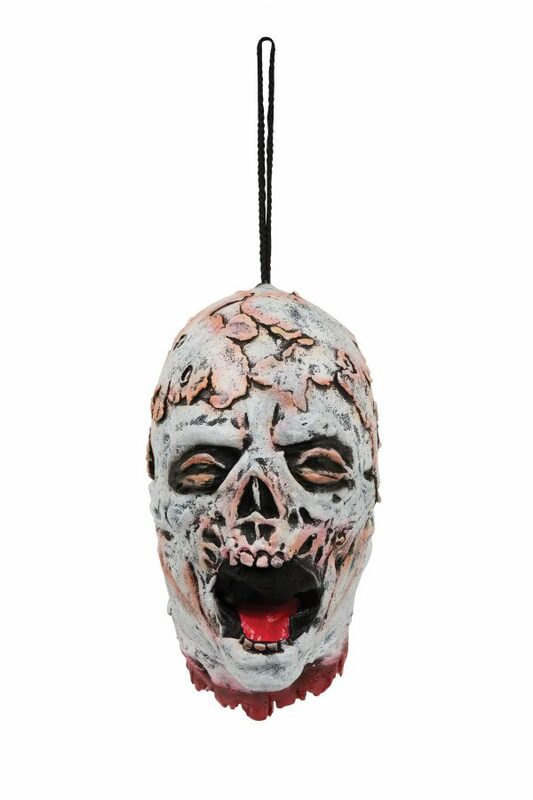 Cut off hanging head prop – looks like it’s melting. The mouth is wide open as if screaming. Size: Full length with cord is 53cm. Head on it’s own is 33cm in length. Made from latex, with stuffing inside.